Here at Saint Rose many of us are very involved in the community service world. One of our biggest events is Reach Out Saint Rose where many students gather together on an early September Saturday and go out into the community to do service. Some people went and picked onions, while others worked with the elderly. Now that it is over some of us may be asking, what else can we do? 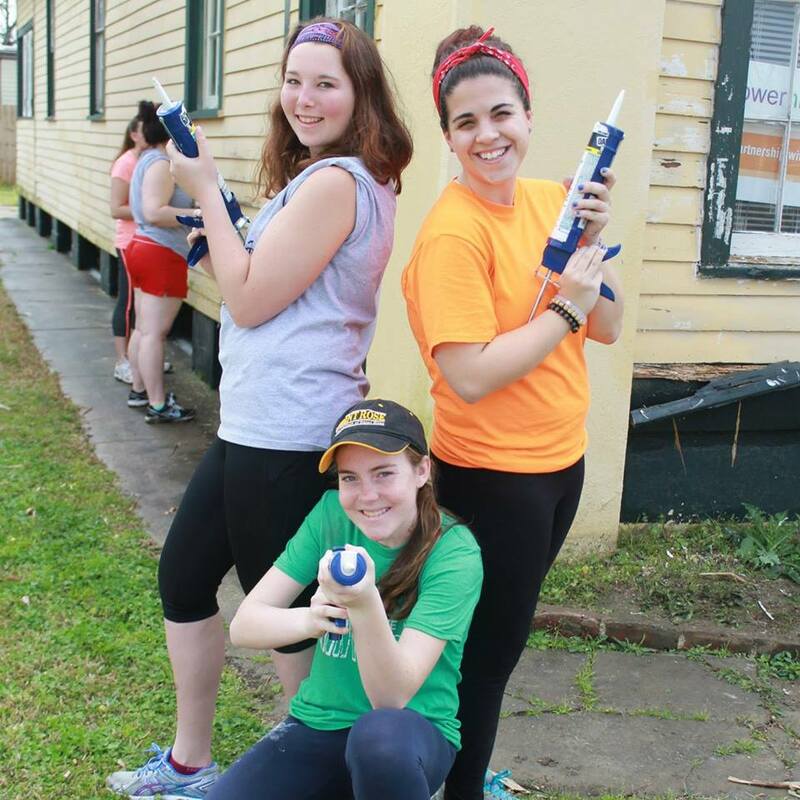 One great community service opportunity we offer is Alternative Spring Breaks. This allows students to spend their Spring Break giving back to those who deserve it. There are three main trips: West Palm Beach, San Francisco, and New Orleans. They all work towards different social justice topics. I went on the New Orleans trip last year and I am returning as a leader. In New Orleans we help repair and build houses that were destroyed by Hurricane Katrina. It is much more than that though. Not only do you get to watch the work you did in front of your eyes, you also get to see the impact you make on those who were affected by the hurricane. So many people there are thankful for volunteers because volunteers are the reason that work is getting done. In that one week I gained experience and wisdom. I learned a lot about being thankful for what you do have and making the best of it. I am so appreciative I was given the opportunity to make a difference and do something productive with my Spring Break! I recommend signing up and going to anyone here on campus! It will be something you always remember. Applications for the trips are due October 15th , if you would like more information go to the Community Service building (950 Madison Ave.) or you can email me at hendricksonk752@strose.edu.